REGION — Early in the summer, Torrey Pines Boys Basketball head coach John Olive acknowledged something he rarely does in the preseason. His returning team had a chance to be special. “The pieces are definitely in place,” Olive said at the time. The Falcons, coming off a year where they suffered a humbling home defeat in the state playoffs as a No. 2 seed, losing to No. 15 Taft, enter the 2018-19 season as the No. 1 team in The Coast News region. And the gap between them and the rest of the field feels as wide as it has ever been — and for good reason. The Falcons return leading scorer Bryce Pope, who on Nov. 14 signed his national letter of intent to UC San Diego, and his twin brother Michael, who had a strong summer on the travel basketball circuit after averaging 12 points per game during his junior campaign. And the team boasts incredible size: four of the Falcons key rotation players are 6-foot-6 or taller, including returning 6-foot-8 senior Noah Viera and 6-foot-6 junior Brandon Angel. The other two players are the other reason why Olive is so bullish on this team, as the Falcons got deeper by way of two major transfers. Six-foot-eight senior forward Victor Novy, who moved to Carmel Valley from Cedarburg High School in Wisconsin, and 6-foot-6 forward Travis Snider, who starred for nearby San Dieguito Academy, add unique pieces and versatility to the Falcons front court. Novy will be eligible immediately for the team, while Snider will have to sit out 30 days due to CIF transfer rules. The Falcons, however, are not without their fair share of adversity. The team suffered a huge emotional blow during the offseason when junior point guard Nick Herrmann, who was expected to be a key piece of the Falcons rotation, was ruled out for the season after being diagnosed with bone cancer. Herrmann has received an outpouring of support from the basketball community statewide, but from a practical perspective, his absence creates a lack of depth in the Falcons back court and takes away the one pure playmaker from the team’s guard roster. “It is something we will have to deal with from a basketball perspective, but Nick’s situation is much bigger than basketball,” Olive said. Olive, with his belief in his squad, scheduled some of the most challenging nonconference schedules the team has had, highlighted by a date with CIF Southern Section powerhouse Bishop Montgomery Dec. 15 at the BSN Sports Showcase at Carlsbad High School. The Falcons, if they navigate the rugged nonconference slate, which includes the national division of The Holiday Classic — which the school annually hosts — they should be in position to challenge for a CIF Open Division Title. Mission Bay, which returns all of its starters from last year’s title team, is considered the favorite. 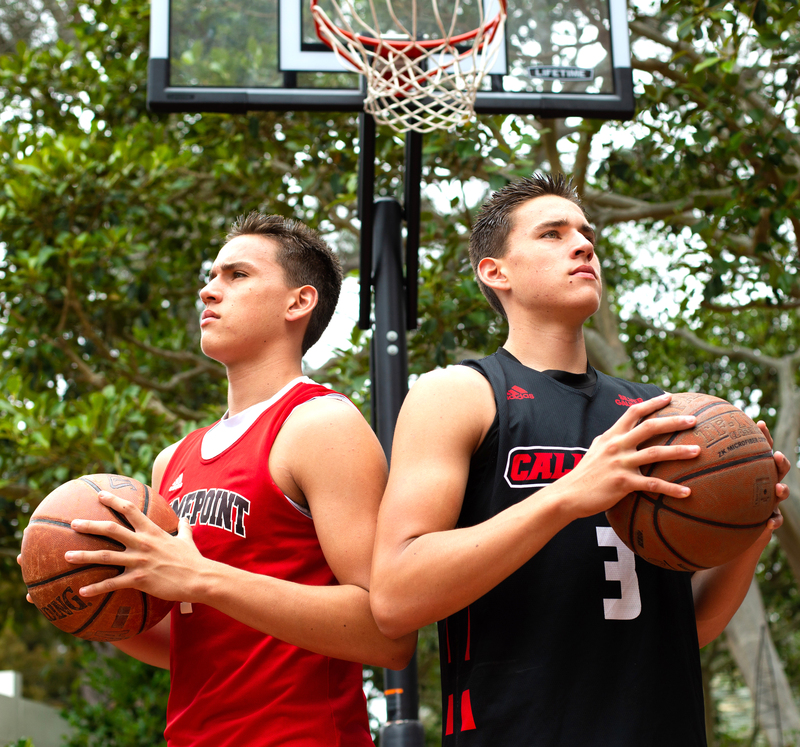 Torrey Pines — Stacked frontcourt, but do the Falcons have enough guard depth to win the Open Division? 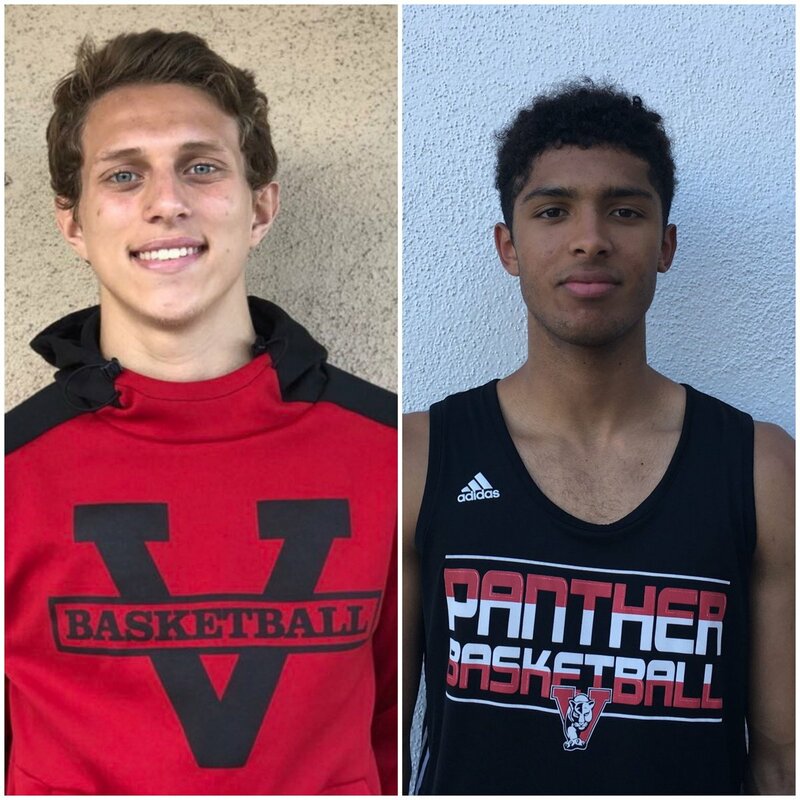 Vista — Jordan Hilstock and Makiah Morris have big-game experience, but the Panthers need their role players to emerge. 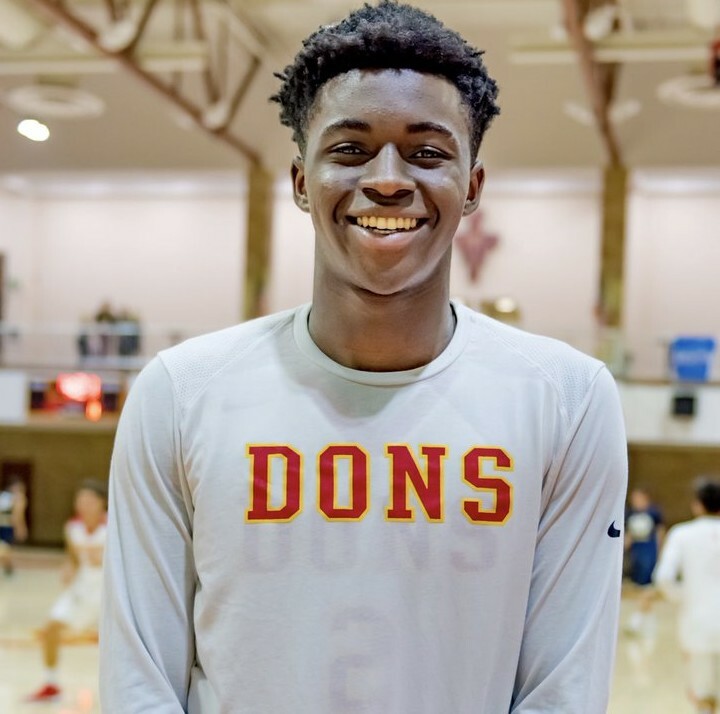 Cathedral Catholic — Sophomores Obinna Anyanwu, Alex Wade and Thomas Notarainni will need supporting cast to come up big. San Marcos — Sophomore Chris Howell is one of the state’s top prospects. Look for Elijah Randall to have a bounceback year. La Costa Canyon — The Mavs have the size and an excellent backcourt with Graham Cook and Taro Boyd. Santa Fe Christian — The Eagles are young and not as big as last year’s variety, but shoot it and are well-coached. 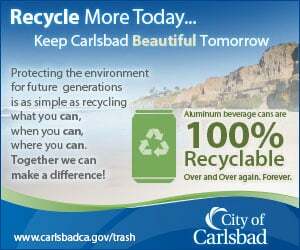 Carlsbad — The presumptive favorites in Division 2, Carlsbad returns almost every key player from last year’s D3 finalists and adds Sage Creek transfer Jailen Nelson. Rancho Buena Vista — The Longhorns return major pieces from last year’s breakthrough season. Coach Aaron Abrams has revived the Horns culture. El Camino — Feisty albeit undersized, seniors Brad Yasukochi and RJ Davis headline the Wildcats. Army Navy — Ninth-grader Alexis Marmolejos is a revelation, and transfer Cobey Harraway bolsters the Warriors roster. Graham Cook, senior guard, La Costa Canyon — The face of the Mavs the past four years, can Cook lead them to a CIF Title? 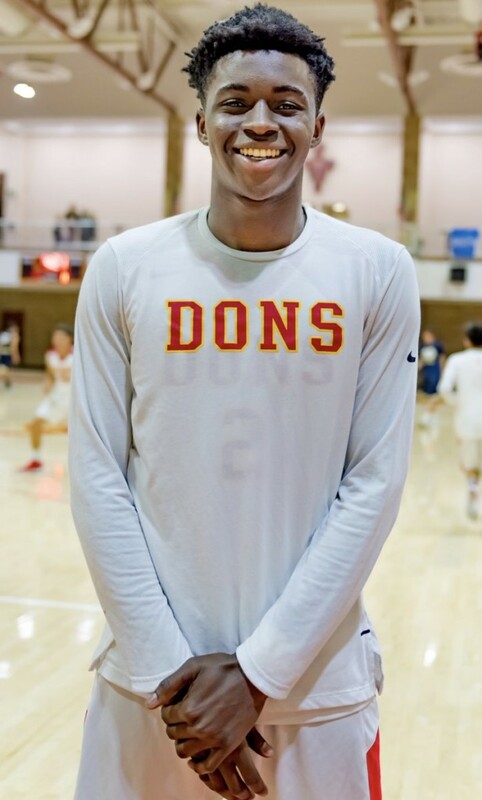 Obinna Anyanwu, sophomore forward, Cathedral Catholic — The 6-7 forward is an elite rebounder and defender with offers from Texas and Georgia Tech, among others.